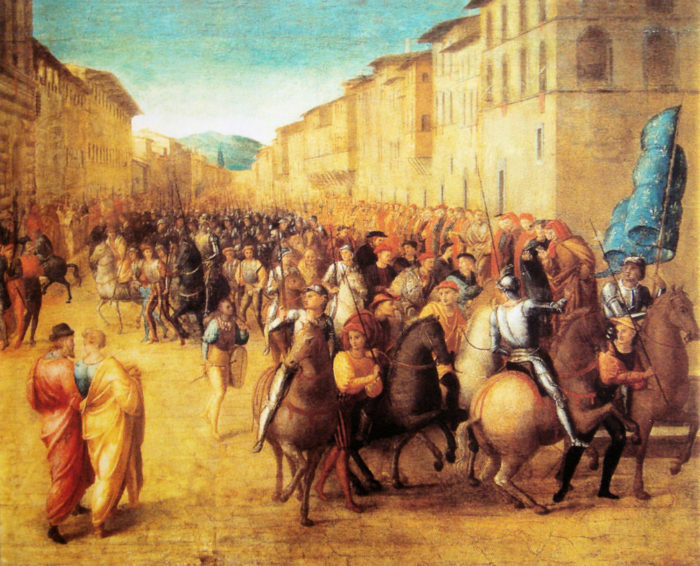 On the Italian peninsula, the French armies were marching steadily south on their way to seize Naples and claim it for the French crown. They thought it was rightfully theirs. With them was the French king, 24-year-old Charles VIII. Although he had been king since he was 13, Charles was uneducated and barely able to read. He was not the military leader of the expedition, as a king usually was, but he did enjoy campaigning. On campaign, Charles had one treasure – a book full of drawings of women’s faces. If he misplaced it, there was hell to pay until it was found. Why was it so important? Charles needed a woman every night – a new woman. He refused to sleep with the same woman twice. So he needed the book to compare faces. How did the campaign go? Victorious, all the way to Naples. A disaster, all the way back to France. 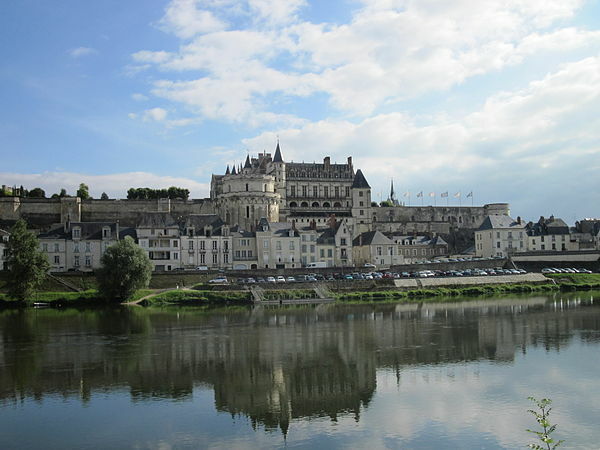 Footnote: On April 7, 1498, Charles was running through the rooms at his great castle at Amboise, perhaps playing his favorite game, hide and seek, when he hit his head on a lintel (the stone slab across the top of a door – it may have slipped out of place). It was quite a blow, but Charles went on as planned to watch a game of tennis. As he was leaving the game, he collapsed, unconscious. Nine hours later, he was dead. Love the factoids! I think it’s so important to look back, to be able to judge where we’re headed. Maybe we can actually learn not to repeat history (the yucky parts)! But doing research for HistoryGossip, I’m not so sure!